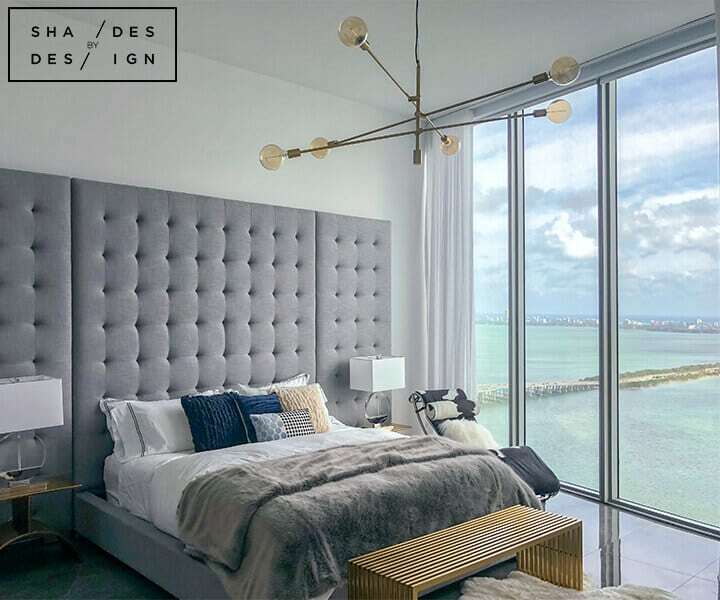 Description: Biscayne beach has some of the most amazing view. 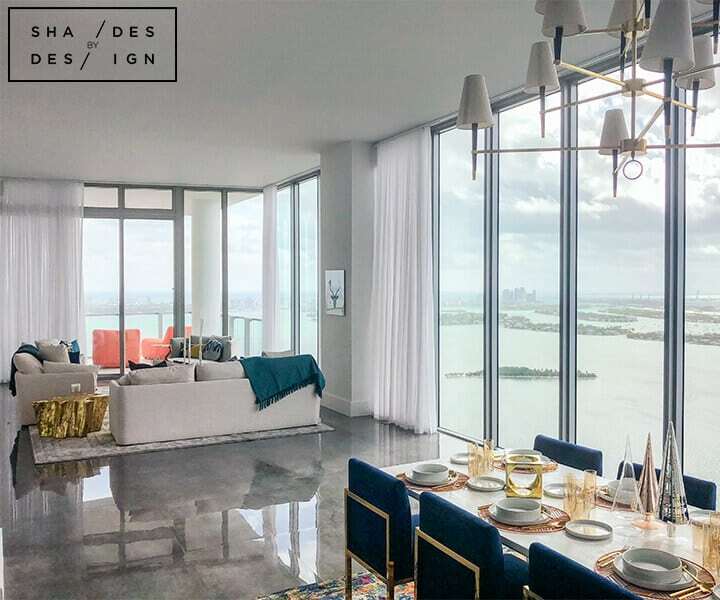 Because of this, most luxury residences have large windows to allow residents to take in these views. 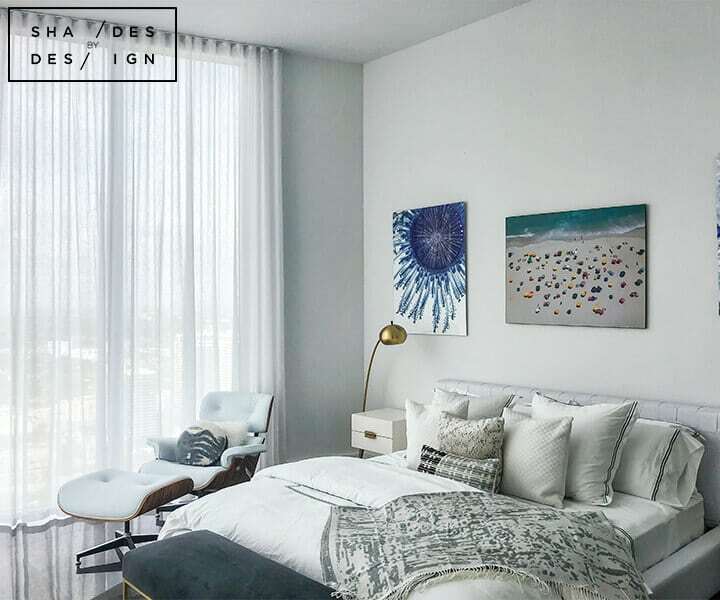 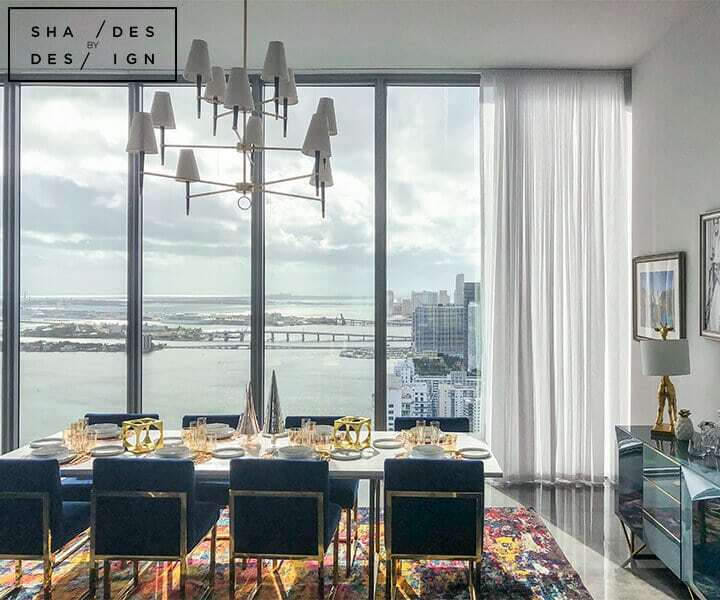 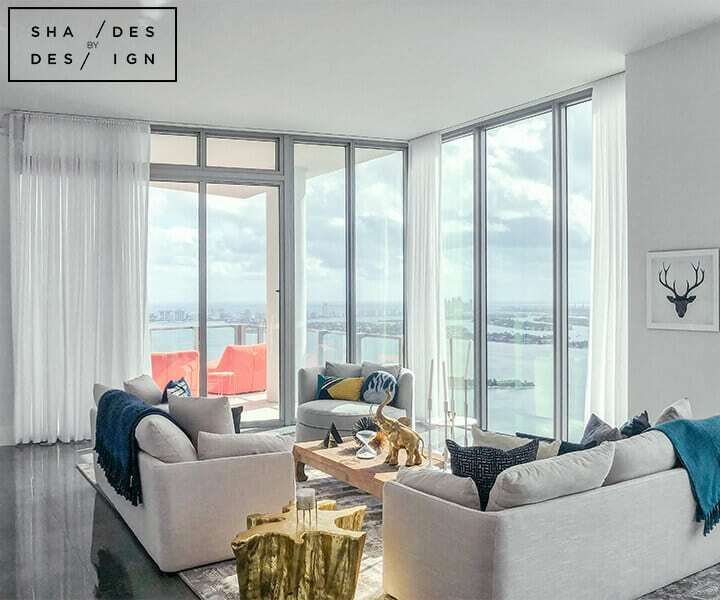 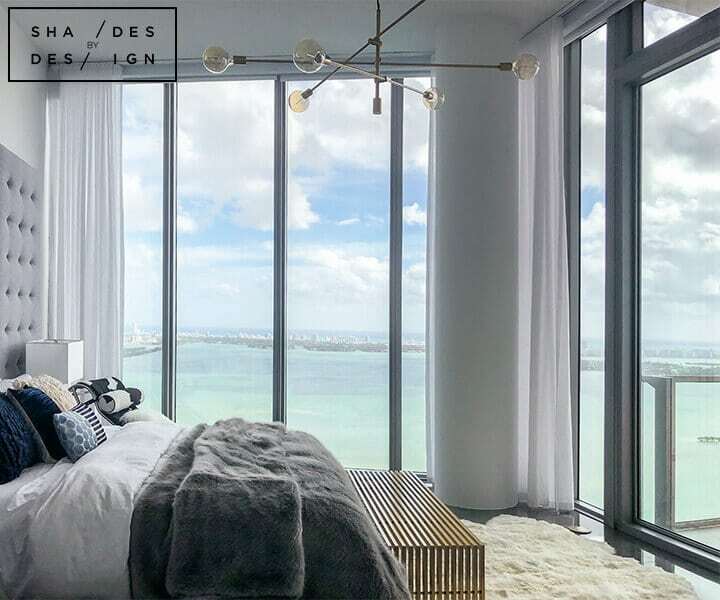 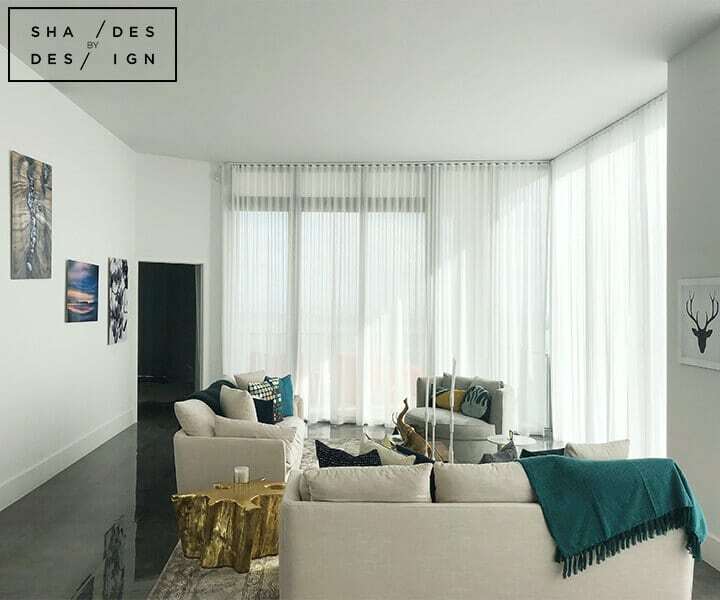 In this luxury penthouse on Biscayne beach, our client wanted window treatments that not only decorated the home nicely, but lowered solar heat gain and protected the art and furniture from UV rays. 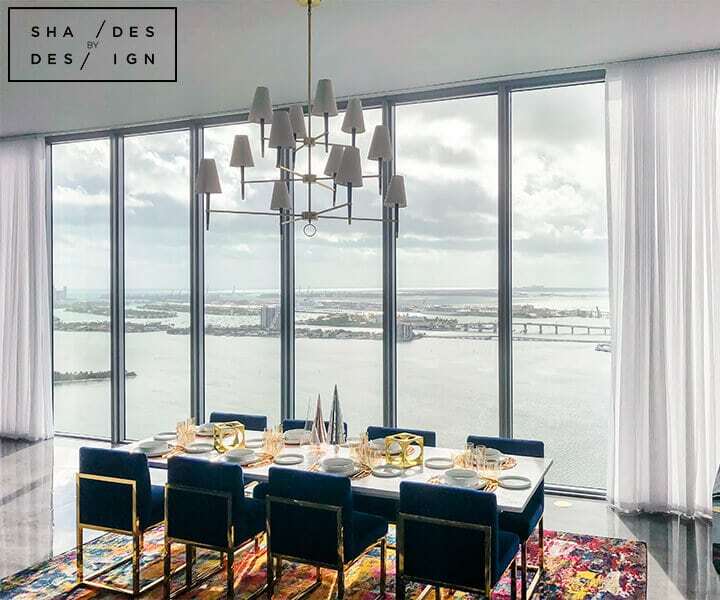 The sitting and dining area has an entire wall of floor to ceiling windows. 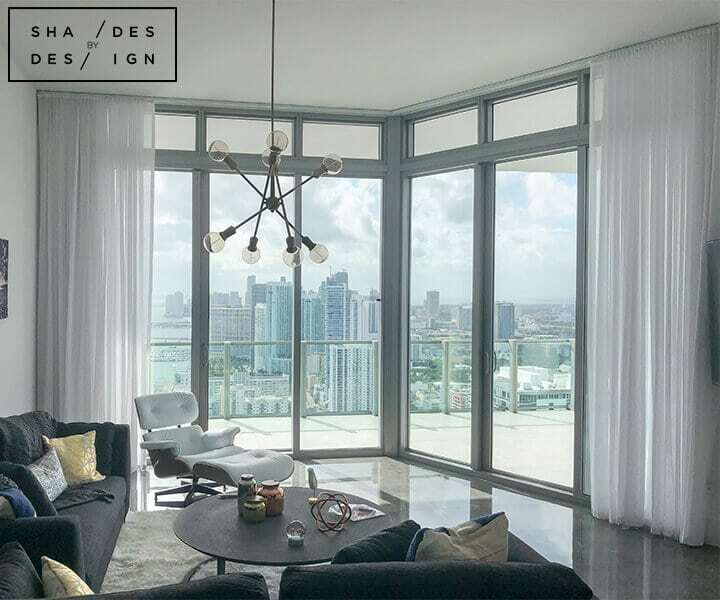 For this area, we installed Somfy motorized sheer curtains. 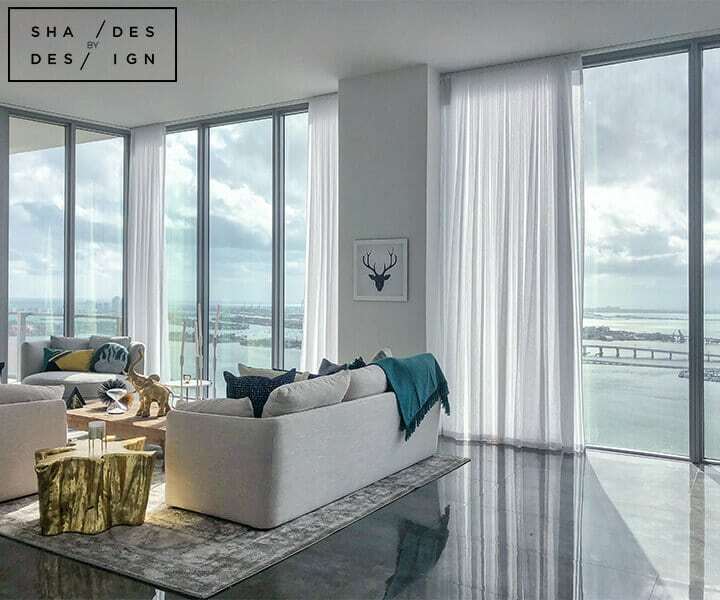 When opened, our client can enjoy the amazing water views from their “glass wall” effortlessly. 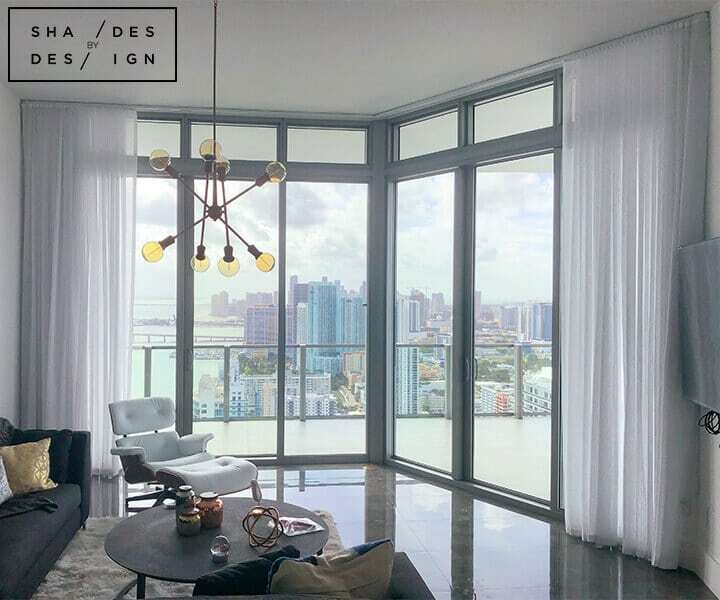 When closed, they are still able to take in the views but with less glare and more privacy. 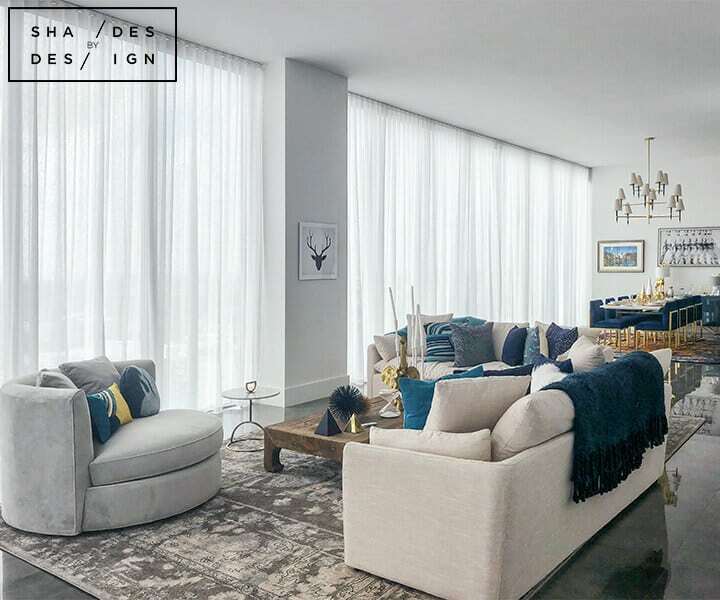 These drapes also create an illusion of a fourth wall. 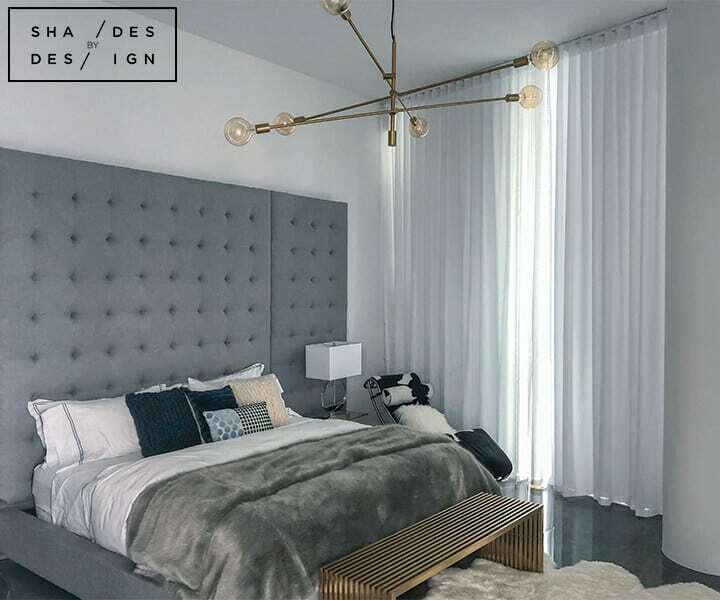 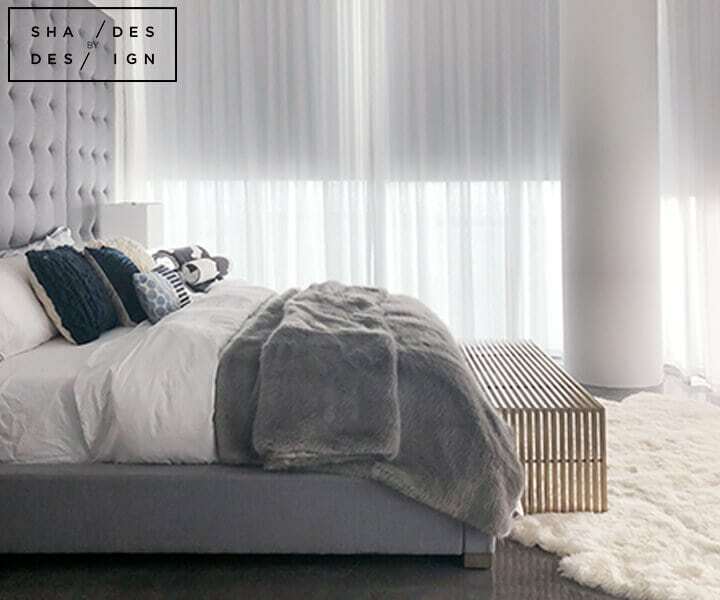 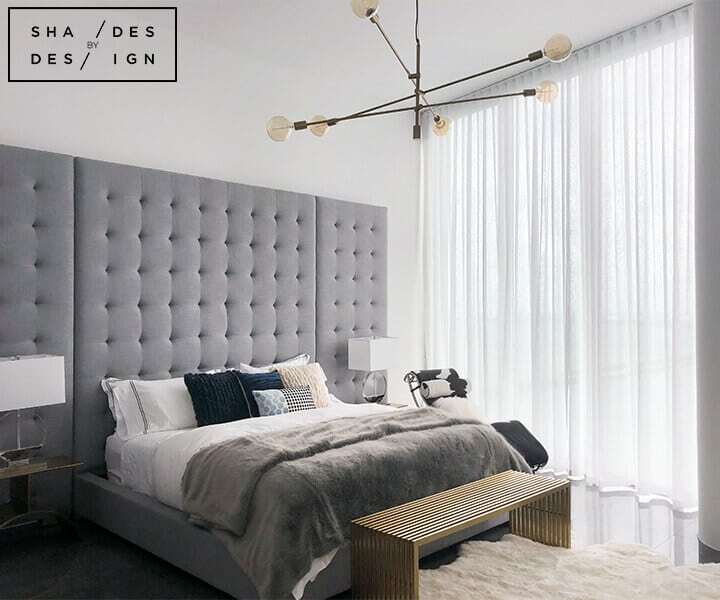 For the bedrooms, recessed motorized blackout shades were installed behind the motorized sheer curtains allowing to light filtering options for the client. 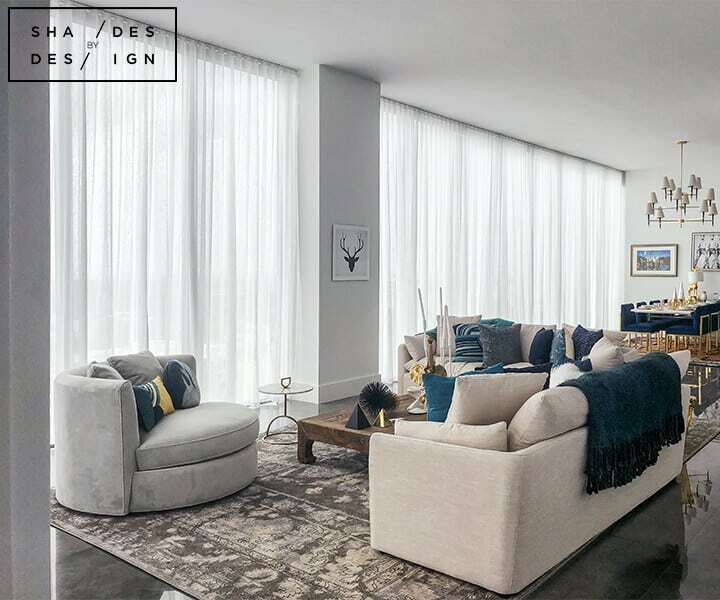 With blackout shades down, they can experience a darker room any time of day, and with the shades up and curtains drawn, they can still have a clear view of the outside without having to block the sun from their eyes.